In Cairns rugs are common place due to the hard surfaces used in homes, and make cleaning after pets and children easier. Rugs are often used to soften rooms and make it soft on our feet as well. But rugs are also great for air quality control as it filters the air in your home. Regularly vacuuming with a HEPA filter pile lifting head helps maintain the look of your rugs. Using today’s technology we can get 99% of the dirt that sits at the bottom of your rug that your vacuum can’t reach. This dirt slowly breaks down the fibres of your rug causing wear and tear and permanent damage. Remembering different fibres require different cleaning methods, avoid cleaning products at the supermarket that can destroy the fibres over time. 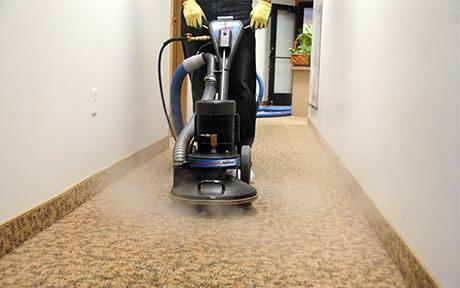 At Allamanda our process ensures that when you ask for your rugs to be cleaned – it’s clean. Our dusting process ensures we are able to get that dirt out of your rug so it lasts for years to come. Inspection of the rug to document any issues. Dusting which removes 99% of the dirt deep in the fibres. Deep rotary extraction which washes both sides of fibres. Pet urine removal is one of the most common requests we get from our customers. Urine is an acid base that turns into an alkaline base residue. Dyes that are used on your rugs are acid base which is why urine disable the dyes and can cause the rug to bleed. Treatment may include the use of wash pits to remove the urine residue and odour. Staining from urine is often permanent on natural fibres. Upon inspection we will advise on treatment options and if any additional costs will be incurred.